In the ever-increasing age of Information Technology (IT), using social media for business has become a quintessential part of marketing products and services. According to an estimate, only a couple of popular social media sites have as much as 800 million users. Facebook alone has this many! So, you can imagine the extent to which you can reach customers in a quick and cost efficient manner through social media. I recently came across somebody that very beautifully compared social media with a shopping mall. A social media site is just like a virtual mall and if you are present in that mall with your products and services then obviously you are making your presence felt amongst your potential buyers. Consumers are quite aware and value conscious these days. Before purchasing anything, people like to do research online to find out the credentials of the business or product. Being present on social media sites gives the consumer reassurance that you are a genuine business and that you care enough about your brand to engage with people and let them know about you. Social media sites give your business an opportunity to connect with the customers on a one on one basis and get a feel of their needs and wants from their feedback. This is a very powerful tool when it comes to establishing your brand’s reputation amongst your customers. Another important reason behind getting on social media is because your competition is using it to their advantage in the marketplace. By creating a presence on social media, you can edge out those who haven’t gotten on board yet and be on par with your competition with respect to Social Media Marketing. Again, it’s important for you to use social networking sites to establish a brand presence and allow potential customers to find you! Any successful business has a tenet that it earns a huge customer base through verbal marketing. It’s like the snowball effect wherein one person uses, appreciates and recommends your brand to his friends and acquaintances. If your brand is on a social media site, than this satisfied customer can recommend your brand quickly to 1000’s of other people through the click of a button. Just imagine the extent of the reach these sites can give to you and your business. Another great aspect of using social media sites is that it is a transparent means of communication. If someone likes your products they can share their feelings and if someone does not like it then they can also freely express their opinion. It provides transparency to the business and builds credentials among first time users that you are a transparent business. Social Media gives you the opportunity to connect with your customers directly. You can ask questions directly to them and get a feel about your brand image and their expectations of your brand. It gives you the opportunity to understand what needs to be improved and what needs to be improvised. Besides, open conversations give other people opportunity to join in and become your partners in communication. This certainly helps you promote your brand online. Popular social media sites like Facebook, Twitter, LinkedIn, etc have high page ranks. It means that when a new customer tries to find out about a product, they search for them on search engines and your page appears to them quickly. This gives you an opportunity to reach millions of people at the click of a button. When you connect with your audience directly, you actually create a gateway for online customer service. Your customers can give you feedback or suggestions as well as complain in the event of a problem. This way you and everyone else can see the problem and directly address it for all to see. You can literally make your brand popular through social media sites. As more and more people get to know your brand, you get more and more opportunity to connect with people and establish your reputation amongst them. There are many more benefits of using social media sites and it will be totally irrelevant to believe that social media sites are not required for business promotion in today’s era of computers and technology. About the author: Alia Haley is a blogger by profession. She loves writing on technology and autos. Beside this she is fond of cars and fancy accessories. Recently an article on Fashion attracted her attention. These days she is busy in writing an article on samsung b5722. Thanks for the information, I have been a little hard headed about getting in to social media sites but as time has passed i have realised that Google loves it. This is a great article highlighting the fact that small businesses need to jump onto Social Media and “get social” this year or be left behind in the 90’s. I have been mentoring countless businesses and have written a book to bridge this gap. With the new Facebook Timeline changes, now is the best time for small businesses to jump onto Facebook. This is a very timely article. I will be subscribing to this feed. I have found very useful information here. Way cool. I’m a fanatic of social. To me it’s like a dream come true for people who have the community skills to excite people, and the creativity to create and distribute awesome digital entertainment. I think web video is (shhhh) about to be a HUGE DEAL for business. Great post. I love the fact that social media allows you to have the opportunity to be heard even by the larger corporations. But the flipside of this is that you need to be a little more responsible with your actions and consider the social implications both online and offline to you as well. What I really don’t understand is that how many business owners forget the implications of their social media actions as well. When I see that all they do is party with their spare time, I really question as to whether or not I want to do business with them. Totally agree. I have seen this firsthand with one of the services hired by my place of employment. Knowing the investment into this service company and seeing how they spend their spare time “poppin’ bottles” and vacationing all over the globe is frustrating and excessive. To each his own, but it is very discouraging to me ! Having a social media site (at least one) is totally essential in today’s world of commerce. If you want to sell your product this is the best way – I am a firm believer in that. I like when companies employ all of the tactics mentioned above, because it gives me the sense that they really care about making sure I am satisfied (or if I am not, then what they can do to remedy that) with their product. If a company does not use social media and I cannot find them easily it is very off-putting, as well the inverse is true – I feel closer to the brand when I can connect easily on a social level. I cannot think of one global industry that wouldn’t benefit positively from social media partnership. Well it gives more power to backlinks and makes your company bigger on the web. Thanks for this post Alia! 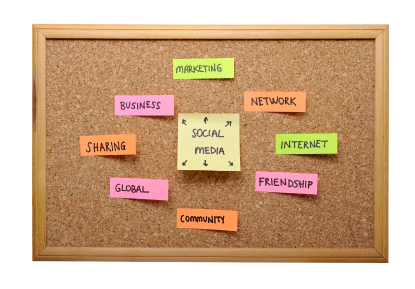 Using Social Media in today’s business is essential, and you very well explained why! In my article “Reasons Why Social Media Advertising Is So Essential” http://www.arismarketing.net/reasons-why-social-media-advertising-is-so-essential/, I speak about why social media marketing is extremely essential when it comes to earning a living on the internet. Because I found your article very informative, I backlinked from my post.